Categories: Best Sellers, Mens, Womens, Hoodies. Welcome to “WTF Happened Last Night” “THE HOTTEST HOODIE IN AMERICA”!!! As seen on TV! This isn’t just a clothing, its a LIFESTYLE! Bringing everybody together, one t-shirt at a time! At WTF Happened Last Night we believe 100 % Customer Satisfaction is important and if you have any problems or are unsatisfied please call customer service 770-617-9940. Welcome to "WTF Happened Last Night" "THE HOTTEST SUNGLASSES IN AMERICA"!!! As seen on TV! This isn't just a clothing, its a LIFESTYLE! Bringing everybody together, one t-shirt at a time! Welcome to "WTF Happened Last Night" "THE HOTTEST SHIRT IN AMERICA"!!! As seen on TV! This isn't just a clothing, its a LIFESTYLE! Bringing everybody together, one t-shirt at a time! Now offering these HOTT NEW WTF Happened Last Night BANDANAS! 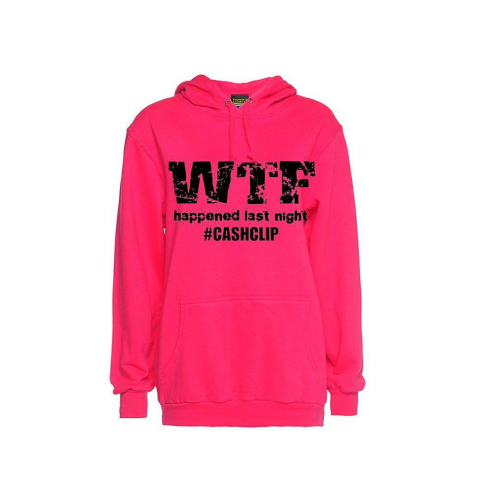 Each shirt includes a free autographed cd from sponsored artist "CASHCLIP"
Welcome to "WTF Happened Last Night" "THE HOTTEST SHIRT IN AMERICA"!!! As seen on TV! This isn't just a clothing, its a LIFESTYLE! Bringing everybody together, one t-shirt at a time! Welcome to "WTF Happened Last Night" "THE HOTTEST HOODIE IN AMERICA"!!! As seen on TV! This isn't just a clothing, its a LIFESTYLE! Bringing everybody together, one t-shirt at a time! Welcome to "WTF Happened Last Night" "THE HOTTEST SHORTS IN AMERICA"!!! As seen on TV! This isn't just a clothing, its a LIFESTYLE! Bringing everybody together, one t-shirt at a time! Now offering these HOTT NEW WTF Happened Last Night Shorts! GET A COPY OF THE HOTTEST CD IN AMERICA!!! "SPRING BREAK FOR DUMMIES" by sponsored artist "CashClip". This is the hottest cd in america! Packed with 20 invigorating songs. Took 3 years to complete and features amazing colabs with Bubba Sparxxx, Flashy, Duff.E, Solace, Edubb, Jawga Boyz & many more. Guaranteed to love A- Z. Genre's includes pop, rap, r & b, soft rock, country & dub-step! "IT'S JUST A WACKY $9.99"